HR Policies and Procedures for Small Businesses. Expert help provided. It is essential to have robust policies and procedures to protect your business in the event of employee disputes. In addition, a company handbook or stand alone policies project a professional image of your company and helps induct new employees easily. Solutions for HR can help you develop fair and strong policies and procedures to educate your employees in harmonious productive working relationships. With easily accessible, written rules, policies and procedures you can be sure that all employees are aware of company rules and standards and that you are taking a best practice approach to people management. 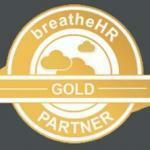 Why not take our HR Health Check to see if your documentation is up to scratch?